This book is aimed at students and illustrators who are looking to create artworks to fulfill a specific brief, as part of their course, job or career. It leads the reader through the whole thinking process, not just of creation but from the basic essentials which are often overlooked. 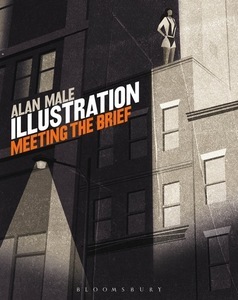 It explores the very foundations which underpin the choices made in creating an artwork: How is illustration used today? Who is the target audience? How is the image used to convey information? What is the message? Should it be created through truth or metaphor? Packed with lively illustrations itself, Meeting the Brief looks at everything required to make informed decisions from gathering research and the relevance of media placement, to subject matter and the use of visual language. This educational guide guides the reader through his or her brief in detail, covering both the needs of the client as well as considering the audience, in order to get the best possible illustration, not just in artistic terms but in commercial terms too. This is a key text for anyone wishing to make their living in this field.